from individuals injured in automobile accidents. In today’s difficult economy, folks are looking at all ways to conserve their income. Sometimes individuals think they can handle their own case or rely on friends or relatives to guide them through the legal maze. They think they can forego paying attorney fees, and somehow get the same outcome. This is a very risky approach! I tell potential clients there are many reasons to protect yourself and your future by securing representation from an attorney with years of experience in the field of personal injury. When you need the expert advice or care of a dentist, family doctor, or accountant, you wouldn’t rely on friends or family. So, why not be represented by an experienced professional when you are injured in an automobile accident? very soon after their automobile accident. Again, in today’s economy, injured victims may need settlement funds to survive, and might rush to accept settlements that are far too inadequate given the degree of their injuries. Without expert legal advice, often individuals sign releases too soon and thereafter are barred from bringing future claims if their injuries worsen. For instance, if they need future surgery or medical care, they have already released the responsible party and have no recourse. A good attorney is a good listener. Often injured victims are so consumed by the devastating effects of their injuries, it is difficult for them to focus on the myriad of issues that need to be addressed to preserve their rights throughout the litigation process. If an attorney has gained the trust and confidence of their client, the client will look to the attorney for advice throughout the process. Personally, it makes me feel good to know I have made suggestions to clients that have positively influenced their lives following an accident. I like helping people through difficult situations and doing all that I can to see that the people who have trusted and relied on me get a fair resolution of their case. I do not like to see people who are injured through no fault of their own be taken advantage of or treated unfairly. The legal process can be very intimidating to many. Victims don’t know what to expect. A good attorney is a good educator. If the client understands the proceedings, whether they be deposition, arbitration, mediation, or trial, they are less intimidated because they are prepared and know what to expect. Attorneys are very busy, but one of the most important things a busy attorney does is make sure a client understands the status of their case at every stage and answer all of their questions. to permit the client to make informed decisions regarding the representation. To some, a job is just a means to earn a living. I am honored to have the position I do. I like going to work every day and arguing for my clients and making sure they are not taken advantage of. I like helping them sort through the many issues they are faced with following an automobile accident. When someone refers a new client to me, I thank them for their confidence in my work. I view it as a privilege when a client trusts me to assist them through the legal process following an automobile accident. 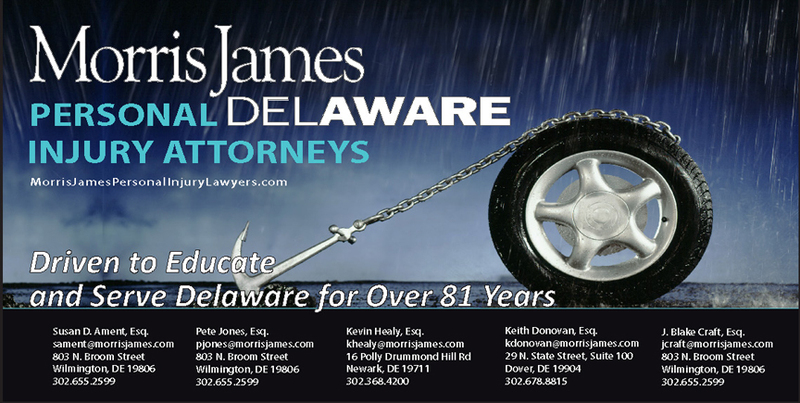 Next Story → Delaware Workers’ Compensation Benefits – Who qualifies, and for how long?